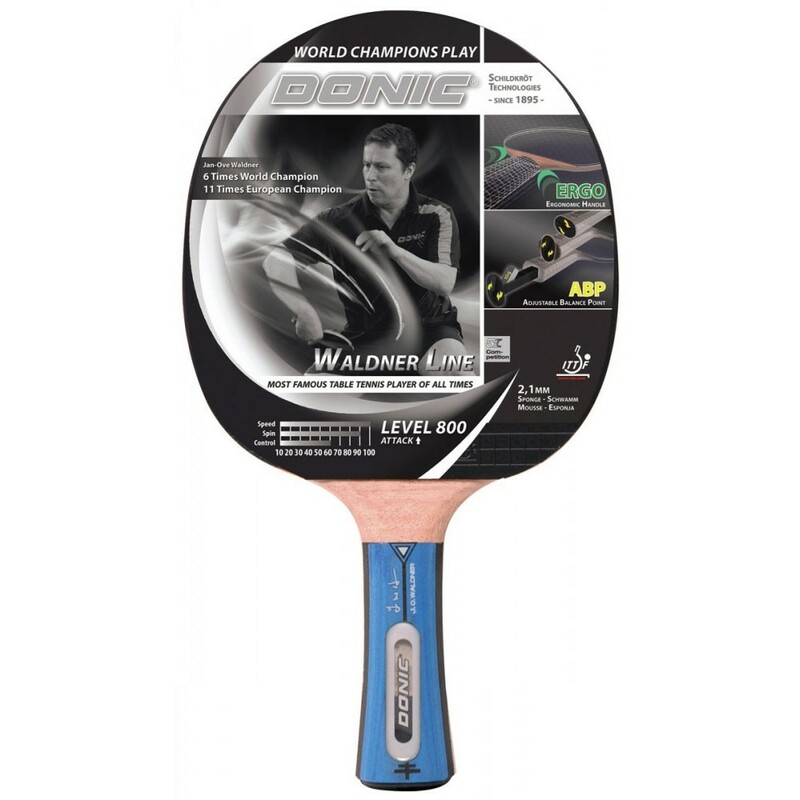 The Donic Waldner 800 TT Bat racket comes with 2.1mm sponge for more powerful shots! A semi-sticky, very controlled rubber sheet (ITTF-approved!) in combination with a 5-ply all round plywood and a Senso grip and 2.1 mm Alpha Slick rubber gives you a superior feeling for the ball in all playing situations.